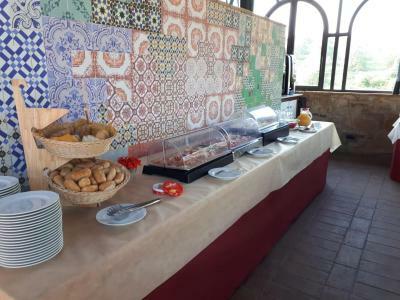 Lock in a great price for Castellare Di Tonda Tuscany Country Resort & Spa – rated 8.4 by recent guests! The property is awesome. The apartment big and clean. Quarter horses on site! Great staff! Beautiful location, nice apartment and astonishing views, tasty wine. Quite liked the location. The gentleman on reception was very helpful, in as far as he could be. Beautiful location. 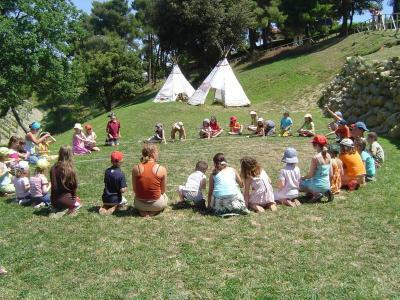 Wonderful base for exploring Tuscany. Had two bed apartment with partner and parents. Loved the pool, views, spa and riding. Fantastic property and stuff. Great food. It was pleasure to be there. Anlage in wunderschöner, ruhiger Landschaft. Eigener Außenbereich pro Wohnung mit Sitzplatz und Liegen. Sehr freundliches und hilfsbereites Personal. 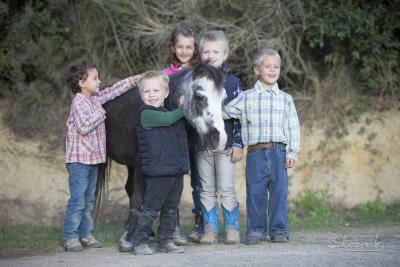 Tolle Ausritte auf Westernpferden durch Olivenhaine, Weinberge und auf kleinen Waldpfaden. The Castellare Di Tonda is a farm estate in the heart of the Tuscan countryside. It offers apartments with panoramic views, swimming pools, free WiFi and free parking. The Castellare’s apartments are located in 12 separate farm buildings across the estate, and each group of buildings has its own pool. 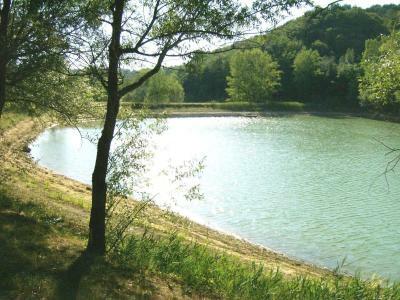 Many apartments offer views of the hills, the estate’s vineyards or its lake. 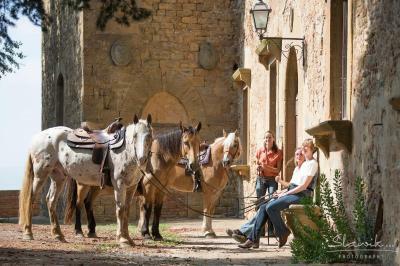 The Castellare Di Tonda Tuscany Country Resort & Spa includes a wellness center, a golf course and horse-riding stables. 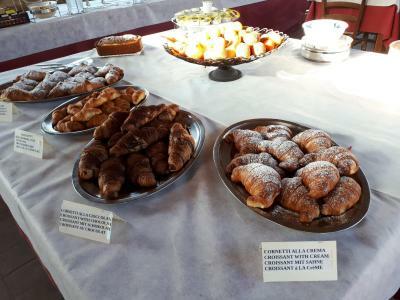 La Cucina del Castellare restaurant is open every day for dinner and breakfast, and also for lunch on Sundays and holidays. There is also a bar on the estate. 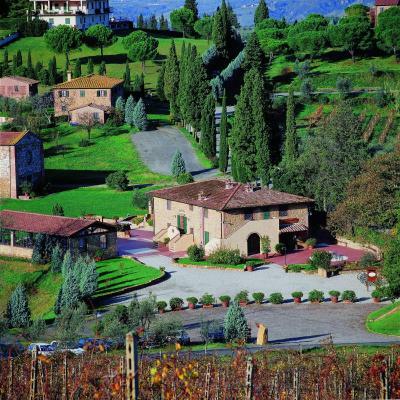 The Castellare Country Resort is 36 mi from Florence and 40 mi from the Tuscan coast. 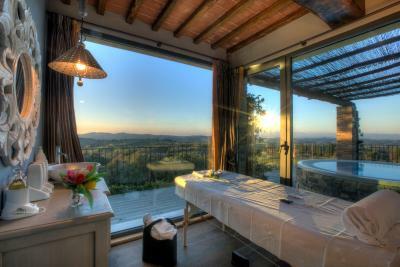 When would you like to stay at Castellare Di Tonda Tuscany Country Resort & Spa? 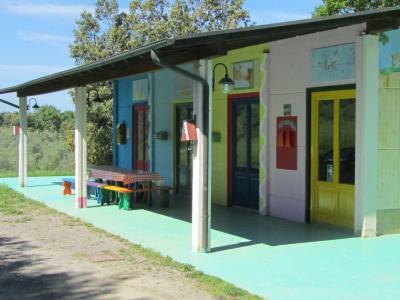 It features a bedroom, fully equipped kitchen and a private bathroom with shower. It also has an outdoor area complete with table and chairs. 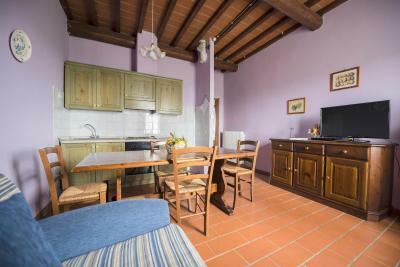 It features 2 bedrooms, fully equipped kitchen and a private bathroom with shower. It also has an outdoor area complete with table and chairs. Offering air conditioning and a dishwasher, this apartment has a bedroom, sofa bed and a fully equipped kitchen. It also has an outdoor area complete with table and chairs. Offering air conditioning and a dishwasher, this apartment has 2 bedrooms, sofa bed and a fully equipped kitchen. It also has an outdoor area complete with table and chairs. 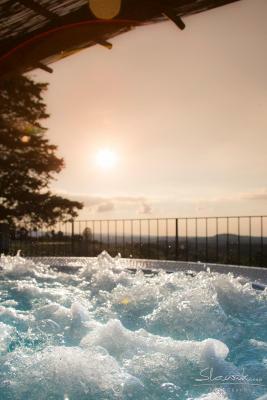 House Rules Castellare Di Tonda Tuscany Country Resort & Spa takes special requests – add in the next step! Castellare Di Tonda Tuscany Country Resort &amp; Spa accepts these cards and reserves the right to temporarily hold an amount prior to arrival. Castellare Di Tonda Tuscany Country Resort & Spa accepts these cards and reserves the right to temporarily hold an amount prior to arrival. Because we came early in the season, the only thing missing was gelato! Other than that - nothing. From check-in to check-out, Castellare Di Tonda was AMAZING!! We came mainly so my wife could get in some fun horseback riding. After numerous emails before the trip, everything was set, and the horseback riding did not disappoint! Marco was her personal guide both days and he was fantastic! It's obvious from Marco that their stables take safety of the horses and their clients very seriously. 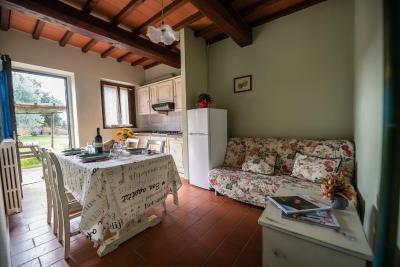 Riding along the Tuscan hills and valleys and in the vineyard are images she'll never forget! On to the food - you would think that a place that basically 'has you captive' unless you want to leave to eat, would overcharge, or under perform. Neither was the case. Fabio and the rest of the waitstaff were magnificent - even with us not speaking much Italian. And the food??? It was top notch and priced extremely reasonably. The room we stayed in was wonderful and clean. It was truly a wonderful experience that we'll be telling friends and family about for years to come! Felt slightly run down. Wood was rotting on our outside area. BBQ needed to be emptied. And there were empty beer bottles on the premises. Clean blankets etc (in a bag) were left outside for hours during changeovers. Horrible stay in heart of Tuscany ! The hole complex needs a big scale renovation! The buildings are from ‘80 so furniture, floor tiles...all needs to be changed... We paid in July 2018 a huge amount of money for an apartament with 2 bedrooms for 2 aduts and 2 children and one infant. That apartament didn’t have mosquito nets! Everyone have been bitten by these insects! Next day we went to a supermarket and bought devices to protect ourselves. More than this, in the bathroom was an air fan which made such a loud noise that someone could heard it from the couryard... Just imagine how it was in the middle of the night when someone used the bathroom! Definitely I do not recommend! The restaurant was good but a bit overpriced compared to other restaurants in the area (less food for same amount of money). Photos did not reflect actual building. Opening hours of reception were too short. Could not check out at our convenience. The rooms were not cleaned - cobwebs in several locations in the apartment. No change of towels or sheets all week - expected at least one change. 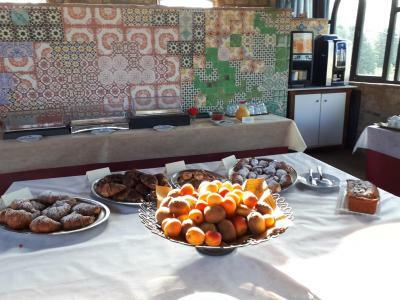 Breakfast buffet was poor, and waitress was not happy in her job! No wifi at apartment; big complaint! No activities at this time of the year that we could do as a family. There was no lock on the bathroom door as it was broken! Too small bathroom and uncomfortable bed. Difficult to work air conditioning. So relaxing and right in the heart of Tuscany. Beautiful, in a relaxing and beautiful countryside. But they are very distracted and inattentive. This is the first time in Tuscany I find this inaccuracy to the customer. We had asked for a microwave oven, we were assured of it, on the contrary we found in the apartment the broken dishwasher, with dirty stuff inside (terrible stink), and no microwave. They wanted we change the apartment, meanwhile we found out that the stoves did not work well (either with the matches). We did not change the apartment, it was too uncomfortable for a night stayed, but they adjusted the dishwasher which still gave off a bad smell after the dirty dishes inside. A disaster. The receptionist girl was very nice and helpful, but obviously the staff is not up to the place or the price we spent (the pools are very nice and the riding school, too). They wanted to give us wine and honey for the bother. We have agreed, but we will never be back there again. The Wifi is inadequate. The restaurant is the only really good thing of the place (though not great) beyond the pool. The worst experience in Tuscany of my life, one of the regions I love most.